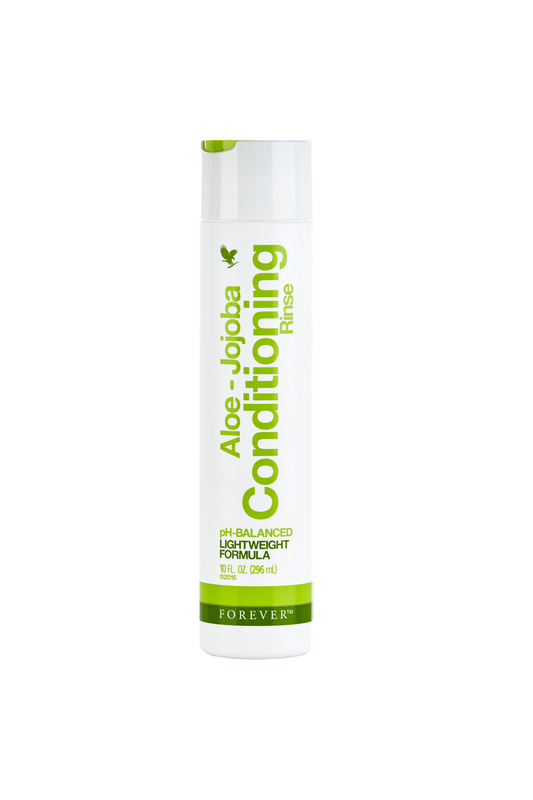 After shampooing with Aloe-Jojoba Shampoo, massage Aloe-Jojoba Conditioning Rinse into the hair and leave on for two to three minutes. Rinse hair thoroughly and dry. Aloe Barbadensis Leaf Juice, Aqua, Cetyl Alcohol, Macadamia Integrifolia Seed Oil, Propanediol, Glyceryl Stearate, Capryloyl Glycerin / Sebacic Acid Copolymer, Brassica Alcohol, Diheptyl Succinate, Polyquaternium-81, PPG-3 Caprylyl Ether, Helianthus Annuus (Sunflower) Seed Oil, Simmondsia Chinensis (Jojoba) Seed Oil, Brassicyl Isoleucinate Esylate, Guar Hydroxypropyltrimonium Chloride, 1,2-Hexanediol, Arginine, Lavandula Angustifolia (Lavender) Flower Oil, Panthenol, Ascorbic Acid, Citric Acid, Parfum, Linalool, Potassium Sorbate, Sodium Benzoate.